There was an important event for Search Engine Optimization in May, 2009: Google announced about supporting of extended descriptions for Web pages with the help of microdata, microformats and RDFonits blog for webmasters. So, we will speak about microformats and using of them on practice. 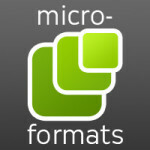 I will try to answer such questions: what are microformats? 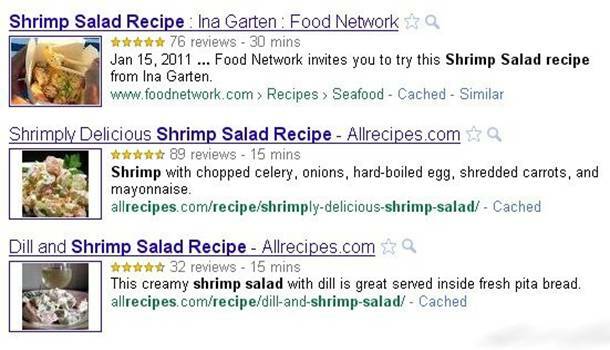 Why are microformats useful for SEO specialists? What tools are used to create and validate microformats? Which features should you consider while using microformats? 2). What benefit can microformats bring to SEO? Microformats are (X) HTML pages markup formats which help search robot to understand what a text fragment is about, and also help users to understand what to expect from a siteat a stage of SERP viewing. There are a lot of types of microformats, but we will speak only about those microformats which are already supported by search engines. 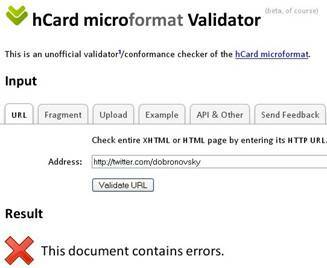 There is a mass of elementary microformats known to everyone beside compound microformats such as hCard, hReview etc. For example, the tag attribute “nofollow” is widely used to indicate search engines not to consider marked link while page indexation. 1.hCard – format for marking people, organizations, places, etc. 2. hReview – format for marking products, events, services etc. 4. hCalendar – format for compilation of calendars, events descriptions. What benefit can microformats bring to SEO? A webmaster receives at least a notable CTR (click-through rate) increasing from the implementation of microformats, what is weighty benefit. 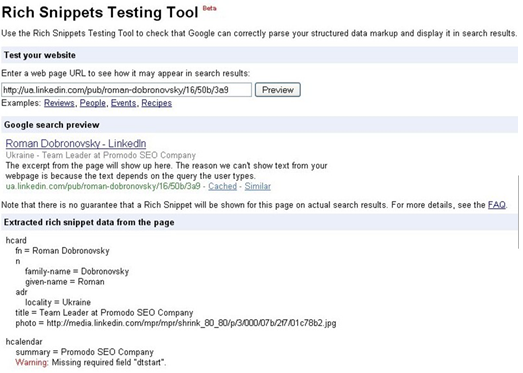 • A web site which uses microformats looks bright and stands out from other sites in SERP. Useful and visually notable data is added to pages description with help of microformat hCalendar in this example. • Microformats are very convenient and the maybe the friendliest data presentation formatsfor search engines. 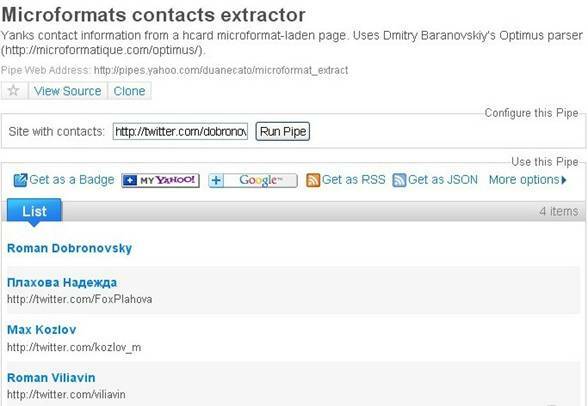 • There are many ways to synchronize data presented in microformats between a site and various applications (eg, Operator extension for Firefox or the H2VX tool for data import to an electronic address book). We can predict that it will be more such ways in future. hCard is probably the most popular microformat at the moment. It is used for description of contact information like data about people or organizations. So-called properties (fn, url, tel, geo etc.) are descriptive elements for this microformat. 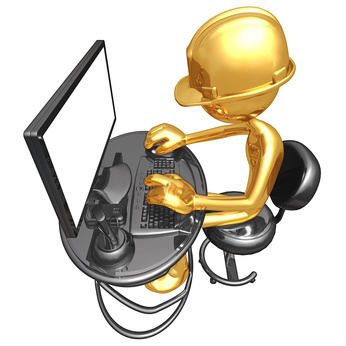 With their help it is possible to specify names, phones, addresses, posts etc. However, you should be careful while using this validator, because sometimes it can make mistakes. It is important to note that the microformat hReview usually includes also data marked with help of other formats. 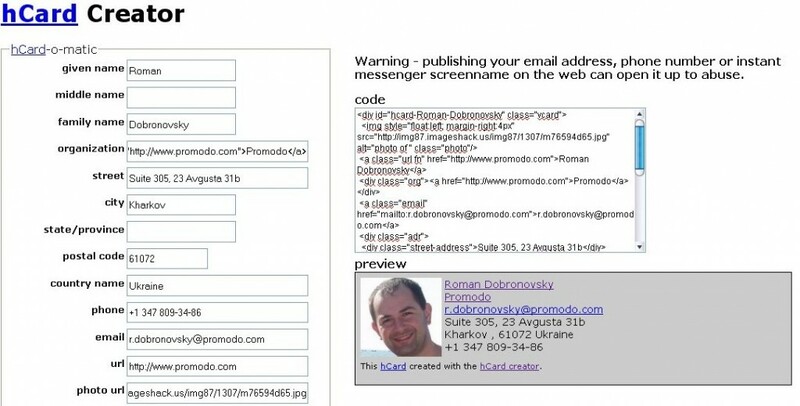 For example, in a review author name is designated with the help of hCard, and the object of the review is marked with the help of hCalendar, hProductor, hCard (depending on type of data). Certainly, there are some more useful elements (as ingredient, amount, name, etc.) for markingof food ingredients, a preparation time, quantity of required products, etc. This microformat has one important feature: ideally, only one recipe should appear on the page for correct processing by search engines. 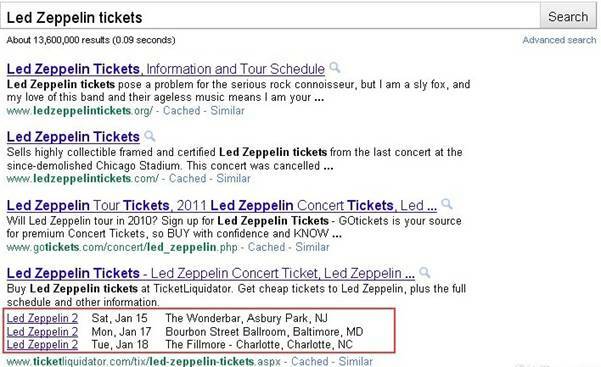 It is important to know that Google shows only those eventsin SERPs which will take place in the future. Past events are not displayed. Pay attention to a close interlacing of microformats hReview and hProduct in the given example. webmasters who still do not use microformats today risk to lag behind their competitors tomorrow.